After a quiet Christmas, UK retail sales increased by 2.2% year-on-year in January according to the BRC-KPMG Retail Sales Monitor. On a like-for-like basis, retail sales grew by 1.8% last month. Aldi and Lidl’s growth continued with over 18 million households shopping in at least one of the two discounters over the 12 weeks. 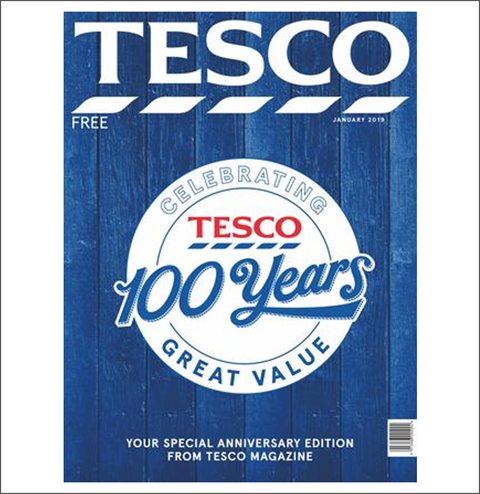 Promotions to celebrate 100 years of Tesco helped boost its sales by 1.0%. Asda’s double-digit online performance contributed to sales growth of 0.7%. Some 14% of UK shoppers say they will increase their focus on food quality when shopping this year, up 2% from December, whereas value for money is also high on the agenda. 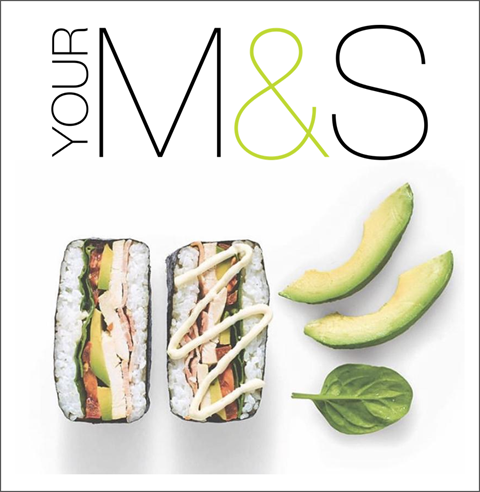 This week M&S launched the UK’s first sushi chicken sandwich, available from Friday 8th February in two flavours: Soy & Ginger Chicken and Chicken, Bacon & Avocado both priced at £4. Known as ‘Onigirazu’ in Japan, it combines some of the UK consumers’ favourite lunch-time items to create a healthier option. According to CGA BrandTrack, 65% of consumers proactively try to lead a healthy lifestyle, and 47% of 18-34-year olds are influenced by nutritionals on pack. It seems as though every week there is a new Jamie Oliver initiative to report on. The celebrity chef opened his first university deli this week in conjunction with Aramark in Aberdeen’s Robert Gordon University. The new concept will serve a range of hand-stretched pizzas, grab 'n' go breakfast pots, fresh salads, seasonal soups, and much more. 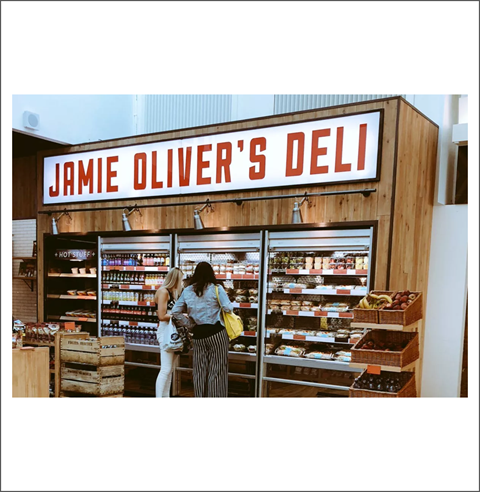 Working with Alix Partners, Oliver is also currently on the look-out for investors to help kick start expansion again of his Jamie’s Italian restaurant chain. KFC is set to roll out new drive-thru technology across its UK operations in the next 6 months. The project known as Call the Colonel aims to improve its drive-thru experience. It allows customers to call ahead and hear a recording of the menu with key products and deals picked out. They can then place their order for collection on arrival. 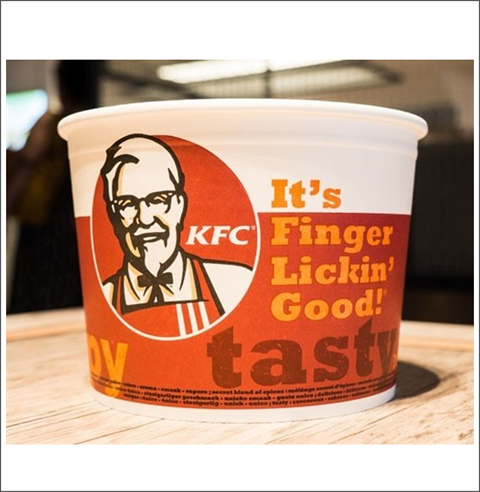 The fast food chain is aiming to be more customer -focused and data driven and have plans to incorporate a recommendation engine that will ease the ordering experience in the same way customers already receIve with Netflix and Amazon. 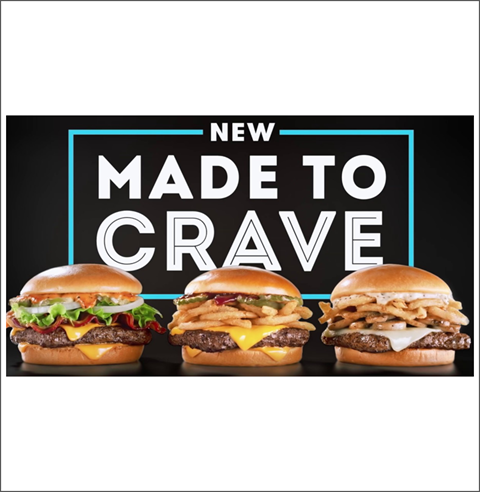 Wendy’s, the US fast food chain, has introduced new additions to its “Made to Crave” range. Three new cheeseburgers, the S'Awesome Bacon Cheeseburger, Peppercorn Mushroom Melt and Barbecue Cheeseburger, are now available and will remain permanent menu offerings. The burgers include fresh beef patties, slices of American or Asiago cheese, crispy fried onions or smoked bacon with various sauces and toppings. Pizza operators are queuing up to launch heart-shaped pizzas in time for Valentine’s Day. 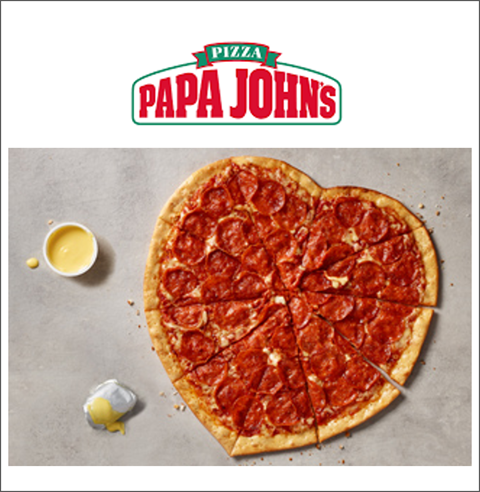 Papa John’s UK is offering a Heart Shaped Double Pepperoni thin-crust pizza to spread the love this upcoming Valentine’s Day. Asda’s heart-shaped pizzas come with a range of toppings, including Mozzarella Meltdown, American Sizzler, and Meat Feast. In the US, both Papa Murphy’s and California Pizza Kitchen are getting in on the action. Meanwhile what could be more romantic than M&S’ new Love Sausage – a heart-shaped sausage, lightly-truffled and wrapped in bacon - possibly Tesco’s £20 Valentine’s meal deal. 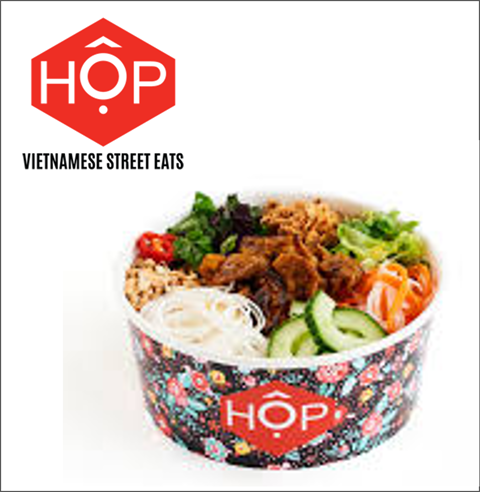 HOP, the Vietnamese Street Eats concept has revealed expansion plans to open 5 more stores, taking on LEON and Itsu with its ability to serve up fresh food within 30 to 40 seconds. Currently with 3 stores they have adapted their food offering, store fit out and kitchens in readiness to scale up as well as meet the demand for hot food to go - extending their evening menu with tapas-style options and a limited cocktail menu. 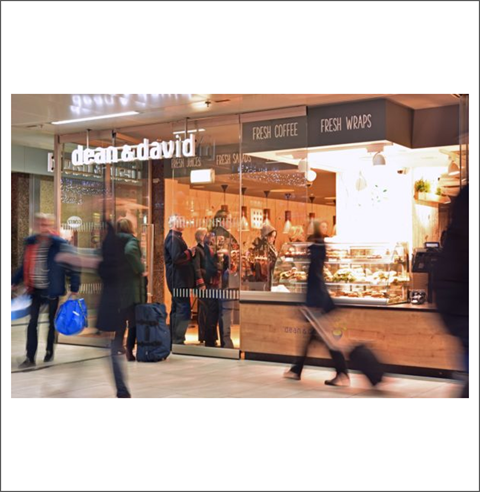 Foodservice specialist, SSP has joined forces with Dean & David to include the ‘fresh to eat’ chain in its travel hubs. Its first Dean & David location at Vienna International Airport is now joined by a 100 sq meter outlet in Dusseldorf central station seating 40 diners. Targeting the growth in travellers looking for healthier food options, fresh customisable food is key to the concept, offering a daily changing menu of healthy and nutritious meals such Asian curries, ‘good life superfood bowls’, soup, wraps and grilled sandwiches. Other brands in the SSP family at Düsseldorf central station include Backwerk, Brezelbub, Pizza Hut, Sushi Factory, Edeka and Kamps. Acquiring Graze is Unilever’s latest move in its bid to add healthier brands to its portfolio and gather more learnings on the D2C market. 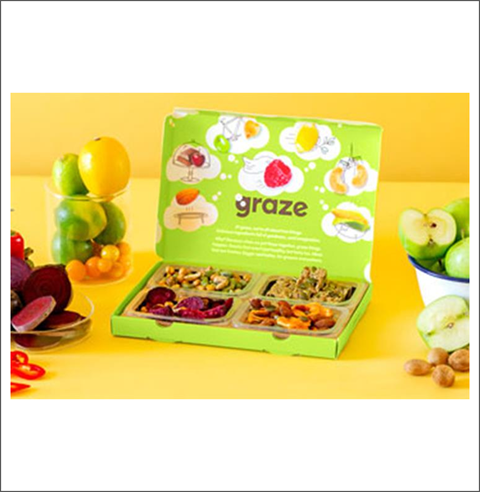 Snack brand Graze first launched in 2008 as a snack delivery concept and has since moved into grocery retail, worth an estimated £88mn across the UK and US (Nielsen). 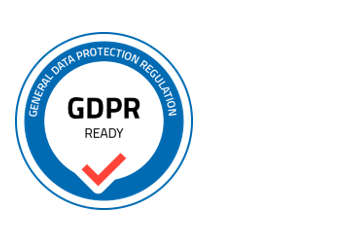 While Graze can look forward an international growth investment - Unilever looks forward to “leveraging their tech and e-commerce expertise for our wider portfolio”.